Do You Have Owner Engagement? How Important is a Timeshare Management Company? Rob Millisor, co-founder of Breckenridge Grand Vacations (BGV), died October 8 doing what he loved to do most. He was on a philanthropic visit to the earthquake-impacted area of Nepal. Millisor, 51, was one of the industry's most successful, philanthropic and community involved members. In a notice we received from BGV, the company said, "The BGV family is extremely saddened to share that Owner and Developer Rob Millisor, passed away yesterday during a philanthropic visit to the earthquake-impacted area of Nepal. He was hiking on a beautiful day when he felt ill, lied down to rest and then passed. No additional details are known at this time. Rob was in Nepal doing what he loved—helping others. The entire BGV family is heartbroken over his loss." Millisor is a well-known figure in the Breckenridge Resort Community. In 1984, Rob and his brother Mike began BGV and developed its award winning properties, Gold Point Resort, Grand Timber Lodge, and Grand Lodge on Peak 7 and Grand Colorado on Peak 8. BGV is recognized as one of the most successful, independent developers in the industry. Throughout his company's success, Rob has always been known for his community and philanthropic involvement. He served as chairman of the Breckenridge Resort Chamber Board and as a Breckenridge Town Council member. At the time of his passing, he was on the executive committee of the Summit Foundation, an umbrella organization that distributes donations to local non-profit organizations. In 2015 BGV gave a $1 million endowment to the Summit Foundation. Just this September, BGV was awarded with the 2015 Philanthropy Award for Outstanding Large Business from the 25th National Philanthropy Day (NPC) Colorado, a project of the Colorado Chapter of the Association of Fundraising Professionals. The award is given to Colorado companies with 100+ employees that exhibit a dedication to building a philanthropic culture in their organization through charitable support, and by urging employees to seize opportunities that produce positive effects in the community. 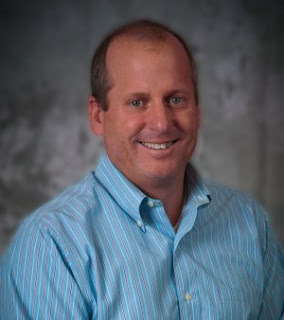 Rob exemplified what it means to be a successful timeshare resort developer. He always remembered what was most important to his success, as he stated recently, "My partners and I have always believed in giving back to the community that we’ve called home. As our success grew, we felt even more committed to supporting Breckenridge." And as in the words of John Buhler, Breckenridge Ski Resort COO and VP, "We are shocked and saddened by the sudden death of our friend and colleague, Rob Millisor. Rob's philanthropic impact alone has been unequaled locally, both through generous charitable giving and local service. Millisor demonstrated a commitment to this community both in words and actions."